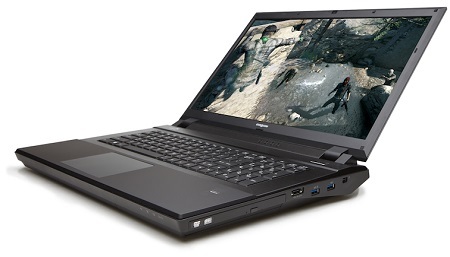 Eurocom has benchmarked and stress tested the Scorpius 3 mobile Workstation with NVIDIA Quadro K3100M graphics to exemplify the level of performance can be squeezed into its formidable chassis with even greater performance being optional. Customers can further enhance the Scoprius 3’s performance with NVIDIA Quadro K4100M or K5100M graphics. Offering VGA upgradeability through modular MXM 3.0b technology, the EUROCOM Scorpius 3 supports graphics from NVIDIA Quadro K5100M (8 GB) to K1100M (2 GB) so users can choose the professional graphics performance they require to super charge and mobilize their workflow. Eurocom has coupled an integrated biometric fingerprint reader and a Trusted Platform Module to secure the Scorpius 3 from unauthorized access. The Trusted Platform Module addresses a fundamental aspect to IT security: the root of trust. Embedded into the Scorpius, the TPM provides a proven, safe foundation for more secure computing in order to keep customers intellectual property, in the form of designs, blue prints, drawings and methodologies safe and secure. Based on the HM 87 Express chipset from Intel, the EUROCOM Scorpius 3 can support a full range of 4th Generation Intel core i7 processors, up to 4940MX Extreme edition and up to 32 GB of DDR3-1600 memory from four SODIMM’s. The EUROCOM Scorpius 3 offers customizable performance so users can choose the exact components, and performance level they require. Featuring upgradeable, socket based Intel Core i7 processors up to Intel Core i7-4940MX Extreme Edition working in conjunction with four, upgradeable 204 pin SO-DIMM sockets for up to 32 GB DDR3-1600. Storage comes in the form of three HDD or SSD drives and two mSATA drives for up to 6.5 TB of storage. Storage redundancy can be increased through RAID 0/1/5 support while Storage performance can be gained through RAID 0 support. When it is time to view your final rendered design, model or video, the 95% gamut, 1920x1080 matte display provides the ultimate image quality in a mobile workstation. Eurocom also offers professional display calibration so users can have perfectly true to life colours right out of the box.